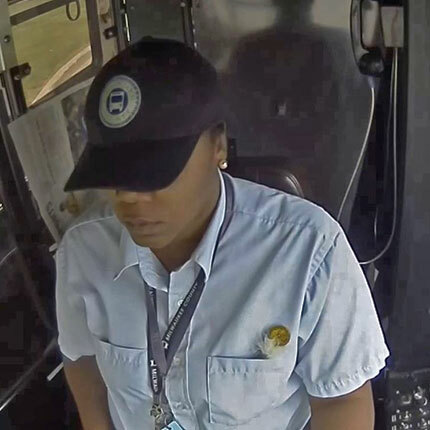 Kimberly Washington has only been driving an MCTS bus for a few months, but she handled a tough task like a pro. The turn around at the end of the Route 21 is a tight turn with a 40 foot bus. Kimberly took her time, talked herself through her training and then took a few seconds to celebrate her job well done. Another example of MCTS Excellence.